Mercer Island Premier Interior Designer & Decorator Best of Houzz! Interior Design is a process requiring imagination, artistic ability, and a historical perspective, as well as a knowledge of current trends and products. I strive to provide a truly custom design, executed with skill and a rare respect for detail. I involve accomplished artists, premier craftspeople, and creative minds in my team approach to help realize your dreams. I weave the “unexpected” into our designs to create an intriguing blend of the practical with the magical. A native of Biarritz, France, Gwenael was bathed in architectural beauty brought on by several generations of architects. She is dedicated to helping her customers discover and realize the untapped potential of their homes. Renowned for her color sense, her eye for the unique detail, her practical approach to planning, her equally facility in traditional or modern styles, Gwenael brings a unique combination of simplicity, functionality and sophistication as she addresses the specific needs of each client. Heather Meikle Interiors focuses on Interior Design, Décor, and Style. Our business philosophy is based on integrity, relationships, and trust. We strive to achieve a comfortable and relaxed environment for our clients as we approach each project. Our goal is to understand what our client’s needs are on every level, provide top notch service and deliver a top notch end result, while never losing site of having a little fun! We understand the importance of your environment and how it all connects with the architecture, the interiors, the furnishings and the business and/or lifestyle function that is present there. Principal Designer | Heather Meikle Heather was born and raised in Seattle, with a natural talent for color & design. She has dedicated her entire career to the local Architectural & Design community. Heather’s philosophy is simple: Listen to the client, earn their trust, and share the gift of creating fabulous environments that meet all of their needs, within their budget, and on time. Her career was launched in 1992 in commercial interiors environment. Since then, she has been fully entrenched in the Architecture & Design Community right here in the Northwest. She has worn many hats, and has played key roles in multiple facets of the interior design business. Her portfolio of experience includes; Residential, Commercial, Healthcare, & Hospitality. Heather Meikle Interiors design services range from hourly consultations to full service design projects. Our services are unique to each client. We can accomplish beautiful results within a wide range of styles. Getting to know our clients and understanding the environment that makes them the most comfortable, is our first objective. We feel in order to complete a successful project, expectations need to be well-managed, and budgets must be well respected. With a background in painting and conceptual art, Brian Paquette brings a singular point of view to the Seattle interior design scene. Rather than following a particular style, he draws inspiration from a variety of sources: architecture, travel, and the natural world, to name a few. For Brian, interior design is not something sterile or static; it’s a living extension of art, meant to be touched, used and admired. That mindset is at the heart of Brian Paquette Interiors. We are a high end design firm and we build custom spaces that are at once open and intimate, grounded yet light. Our Seattle interior design team works through a close, collaborative process, creating homes that reflect our clients’ identity, history and aspirations. We partner with local craftsmen to ensure every element in our projects is unique and carefully considered, with its own story that adds to the greater whole. Founded in 2009, Brian Paquette Interiors provides full-service interior design. 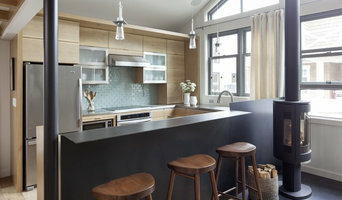 Our Seattle interiors have been featured in Architectural Digest, Dwell, Luxe Magazine and more. We also regularly work in Los Angeles, New York City, British Columbia and beyond. 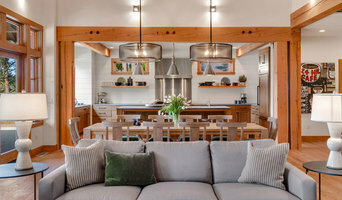 Satterberg Desonier Dumo Interior Design, Inc.
A good home design professional will hone your style down to its very essence and be able to choose a functional layout that feels natural to you. Interior design companies can be involved as much or as little as the client desires. Many clients who hire an interior decorator in Bellevue, WA — particularly those who are remodeling — have a good sense of how the room should look and what products they should use. Often clients will insist that interior decorators use the products already present in the house. Other times a designer will need to start from scratch — especially if this is a newly purchased or just-built home. An interior design company will need to figure out exactly what the client needs, which includes organizing rooms, picking flooring and wall colors, and finding furniture to complement it all. Sometimes that means he or she will have to recruit help from other Bellevue, WA home professionals to help create the perfect look for your renovation. Here are some related professionals and vendors to complement the work of interior designers & decorators: Architects & Building Designers, General Contractors, Home Builders, Design-Build Firms, Photographers. Do your research before meeting with an interior designer or home decorator in Bellevue, WA. Ask yourself what you want your space to become and what it will be used for. Figure out the extent of what you need help with, what your must-haves are and what your budget is. Interior design services can add up fast, so be up front with a potential design firm or individual from the beginning. Also, pick an interior decorator that fits your style. Browse through the portfolios of different Bellevue interior design firms and decide if you would live in those houses. Just because you like something doesn’t mean you could live in it. There's a big difference! Find an interior designer or home decorator in Bellevue, WA on Houzz. 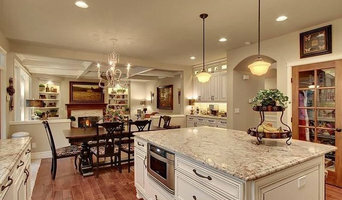 Narrow your search in the Professionals section to find Bellevue interior designers near you. 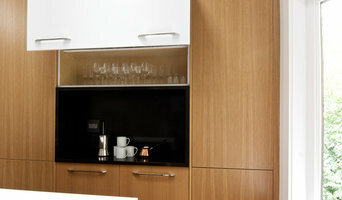 You can also look through Bellevue, WA photos to find a room you like, then contact the design firm who designed it.